Each Packet of Seed Comes with direction and instruction for planting. For more information, please see MySeeds.Co for information. Chives Onion, Cilantro, Dill, Fennel, Goji Berry, Heal All, and So Much More ~! MySeeds.Co is a family owned U.S. Company. Germination Guaranteed ~!! 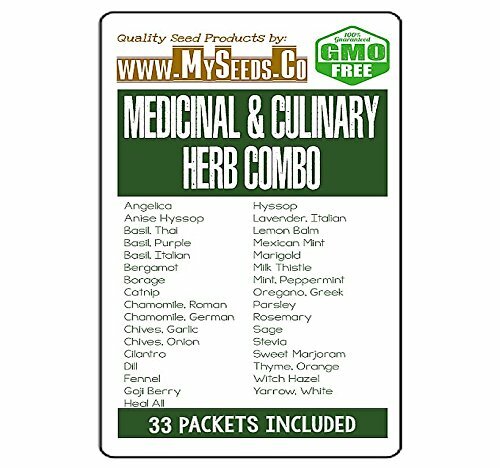 If you have any questions about this product by MySeeds.Co - BIG PACK Seeds, contact us by completing and submitting the form below. If you are looking for a specif part number, please include it with your message. Xerosicyos danguyi, rare succulent plant cactus vine 4"